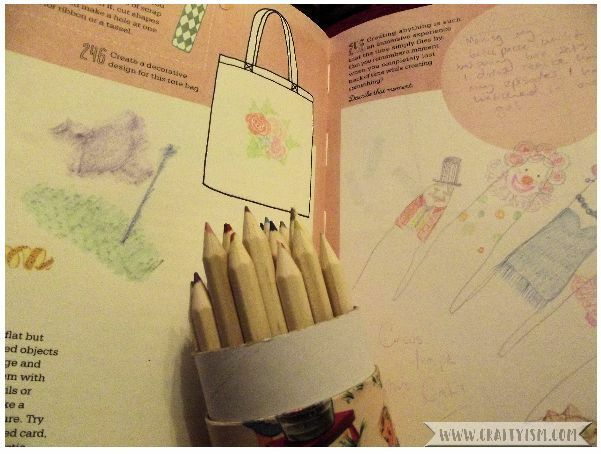 If you’ve read any of the other reviews on Craftyism, you’ll know how much I enjoy a crafty mindfulness book! 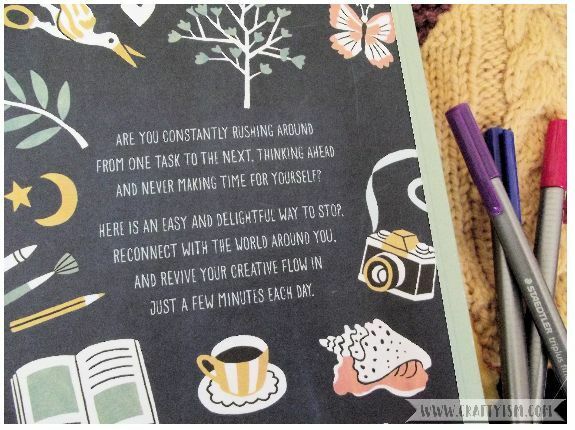 That’s why I’m excited to be reviewing Creative Flow: A Year in my Mindful Life by Jocelyn De Kwant. 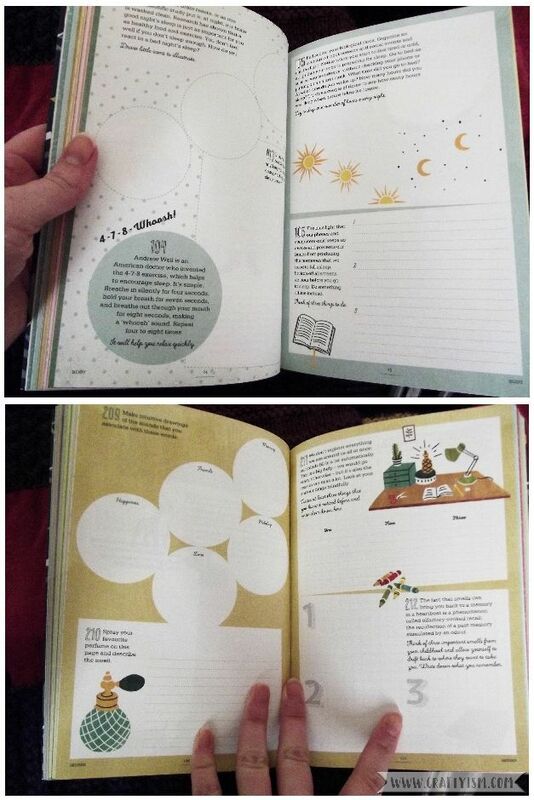 Creative Flow is a workbook of 365 small creative or meditative exercises. These are separated into 12 topics including Nature, Create, Eat, Connect and Doodle. The aim of the exercises is to help us ‘appreciate life’s precious moments every day’. The exercises and sections are numbered, but I think the best way to use Creative Flow is to pick whichever you are drawn to. Of course I went straight to the Creative section! Across the two pages I selected were five exercises. I completed a few of them over a few days. My favourite, was drawing around my hand then giving each finger a character! What was surprising was how involved I got in this exercise. I took my time thinking about what to draw and choosing the right colours. I was practicing mindfulness. This book works! What I like about the exercises in Creative Flow is that you really can do one a day. Whether you have a lot of time or a little. Some are more involved such as going out and doing an act of kindness, others involve finishing off a doodle or practicing a breathing exercise. If you’re not feeling particularly artistic, there’s sections such as Explore where you can research your home town or discover new music. Each section starts with an introduction about how mindfulness can be found within that topic. Jocelyn De Kwant also writes about how she finds mindfulness within the topics. I find this really useful, as after learning the techniques through the exercises, De Kwant gives examples of how they can be used in everyday life. I also have to mention the book itself. It is very high quality, the pages are made of thick paper and it just feels nice to hold! As I work through Creative Flow, I like the idea that it will get thicker and more ragged to show how much progress I have made in practicing daily mindfulness. It would also be a great gift for someone that needs to chill out a bit! I’d love to read more books like this so please leave a comment if you have any suggestions.